Maree is a consultant with strong expertise in banking and financial services. She brings a unique background of technical balance sheet and treasury management, complemented by strategic operating model design and change management experience. Maree has built her expertise and deep understanding of the banking industry through working in leading financial institutions across Australia and New Zealand. Facilitated a co-designed continuous improvement training program at a large organisation’s finance and strategy division for over 100 employees. 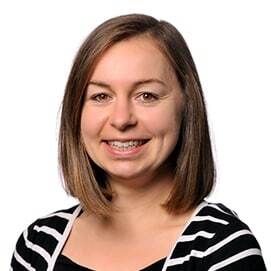 Before joining Nous, Maree worked as an internal consultant at various Australian banks. She started her career as a graduate working in the Bank of New Zealand dealing room. At National Australia Bank, Maree was introduced to and trained in the concept of Growth Mindset. She is a strong believer in its strategic value in driving cultural change. Maree holds a Bachelor of Commerce from The University of Auckland. Maree enjoys running, trips to the beach and planning her next overseas adventure.